For reasons of maintaining the standard of quality offered, the Meenakari Temples made available by us, is manufactured in accordance with the set industry norms and guidelines, utilizing the finest raw materials and modern machines. 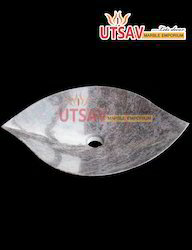 Owing to this, the offered product is known to have a superior finishing, elegance and high durability. In addition, the range is priced at the most reasonable rate possible. 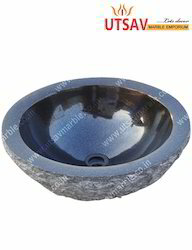 We are manufacturers and traders of Granite, Marble, Sandstone, MOP, and all Semiprecious wash basins in different shapes and colors. 3) Can be made in any size. 2. 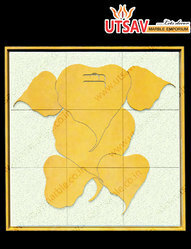 Material: Natural Marble, Sand Stone, Granite etc. 3. Color: White, Yellow, Red,Pink, Green, Black, Coco, Chocolate, Onex etc. 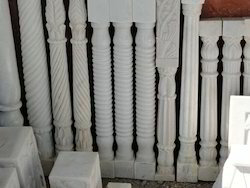 Being an eminent name in industry, we are engaged in manufacturing and supplying a huge gamut of Marble Pillars. In order to retain the quality and reliability of the products, we make them using optimum grade raw materials and advanced technology methods. Keeping in mind the clients’ variegated demands and needs, we have developed these pillars in several specifications that meet each and every requirement of the clients,. 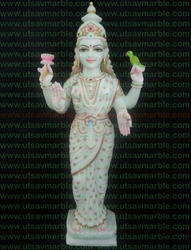 Utsav Marble Emporium, established in the year 1997, is widely considered to be one of the leading manufacturers, traders, supplier, exporters and importers of this impeccable range of Marble Meena Mandirs, God and Godess Idols, Ganesh Statues, Shirdi Sai Baba Marble Statues and Idols, Marble Fountains, Gazebo's, Marble and Stone Lady Figures ,Children. 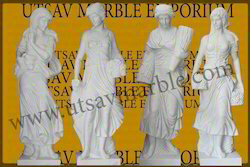 Marble Articles, Garden Furniture, Indoor and Out door Fountains, Gift Articles, Semi Precious Inlay work, Quartz and Agate Stone, Stone Wall Murals, Exterior and Interior Stone Elevations, Home Decors etc. Making of this range is done as per the set industry norms and guidelines, utilizing the finest raw materials and modern machines. 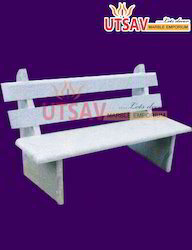 Owing to this, its finishing, elegance and durability is widely acclaimed. The offered range comprises the finest Shiv Parivar Statues, Buddha Statue and Marble Garden Furniture, having a high demand in the market. 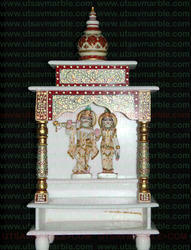 In addition, we provide the finest Semi Precious Inlay Work to our clients, at the most reasonable rate possible. Our highly advanced state-of-the-art infrastructural facility, equipped with all the necessary machinery and equipment, help us in the attainment of a number of the firm’s predefined goals and objectives. For reasons of maintaining our reputation in the market, the facility is upgraded regularly. To manage the operations of the firm in the best possible manner, the facility has been parted into several highly operational units, lead by skilled and efficient professionals. This helps us in the boosting of our productivity. In addition, our client base spreading Globally, like North America, South America, United Kingdom, Australia, Singapore, is owed to our following of industry standardized ethics.